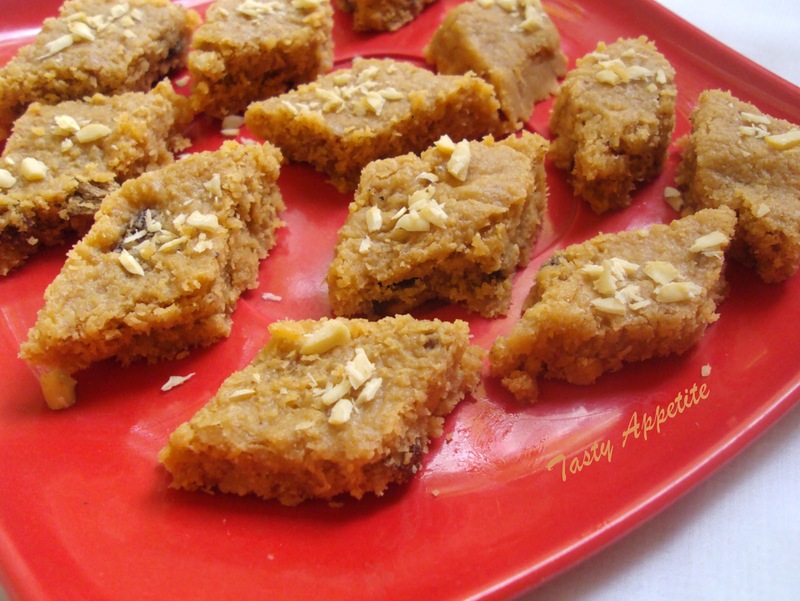 Here is an excellent recipe of Choco Burfi, especially for all you sweet lovers. This can be prepared in very less time and very less ingredients. 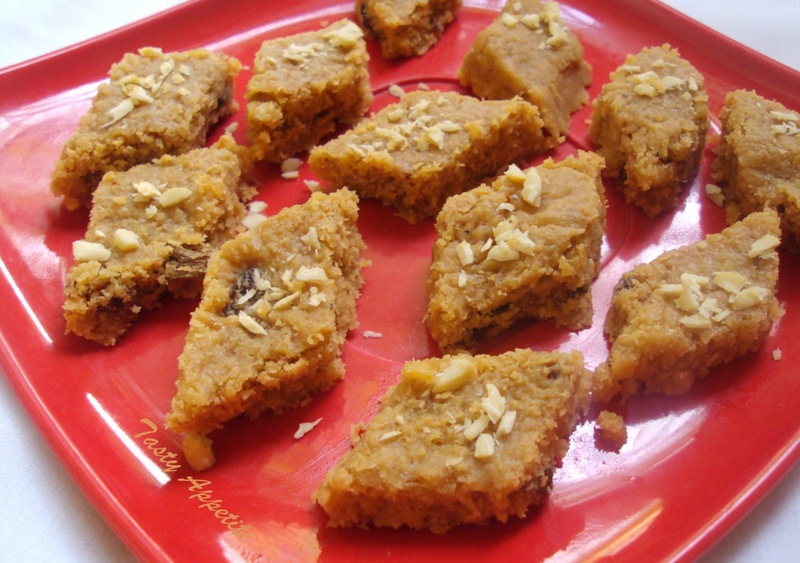 The burfi is cooked with milk pwd, coco pwd , sugar and ghee. Try out this yummy burfi recipe..! Roast cashews, raisins to golden and keep it aside. Grate coconut to pieces and grind it to fine flowers. Add khowa, coconut flowers, milk pwd and coco powder. Keep stirring in low flame for 5 mins. The mixture dilutes and again starts thickening with continous stirring. When the mixture starts to leaves the sides, add roasted cashew nuts, raisins and cardamom pwd. Now grease a plate with ghee. Pour the mixture into the plate and allow to cool for 5 to 6 hrs. When firm cut into desired shape. Burfi looks perfect and yummy! congrats on your awards! Yeah Jay,that sounds interesting with such a simple recipe..
Congrats for the awards !! WOW this burfi is looking excellent...easy to make and loaded with flavours. wow....this looks wonderful and tempting. Congrats on the awards. These choco burfi looks delicious but still sugar amount can be reduce right? Mouth-watering dear! mm..yum yum recipe....i wanna have it immediately...looks perfect..
hearty congrats on your awards for your achievement..and thank you so much to pass an award for me..
Lovely and cute coco burfi.Congrats for your Awrads. Congrats on your awards! And Thanx for sharing it with me...Choco Burfis are too tempting. Congrats on ur awards!!! I have an award waiting for u in my blog..Do collect it :) And this burfi looks so soft & super yummm!! Burfis looks super irresistible and tempting..
Congrats dear on ur awards !! Keep rocking !! 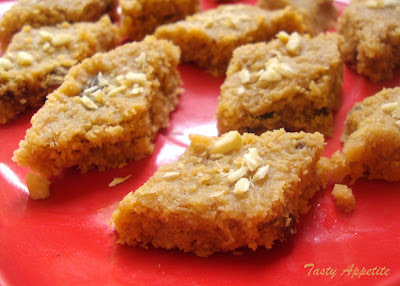 burfi looks super delicious and yummy !! Lovely recipe for sweet lovers like me.... YUM! looks super delicious..congrats jay on ur awards ! I need something sweet...My blog is lost and I will start a new one in a month or so. I will continue to follow you and let you know when I am back. of bloggers could get it back. Lovely and delicious,easy dessert.Thanks for sharing such a easy receipe. Hey i was suprise to myname in list...thanks alot. Mainly than for award you have remembered myname...i'm so happy for that...thanks dear. Omg...its very shocking to hear RIP..really sorry..! Congrats dear,perfect and delicious burfi..yummy. I am so glad you linked up!!!! I adore your blog and can't wait to try some of these winners and get to know you better! That looks super yummy jay! love the caramel color! Looks divine!!! Love your presentation..
Congrats on your awards and the burfi look super tempting. Congrats on all your awards...Choco burfi looks inviting and delicious..
Congrats on your awards, Jay..Delicious chocolate burfis..Yum!! Many congrats on the awards Jay. burfi looks yumm its my fav..
Burfi looks decadent..great treat, Jay. Congrats for the awards you received. Loved the choco burfi a lot. Am soon gonna try this. Thanks for sharing the award Jay. Barfi looks devine and really tasty. Congrats on all the wonderful awards. Hi Jay congrats on ur awards and thanks for sharing the awards with me.It means a lot to me and also a great honour. Drop by to say hi. U have a lovely site and I find many interesting recipes here. I have a sweet tooth but i don't take much ghee. Can I substitute ghee? Btw, what is Khowa or mava? That is a lovely dessert! Congratulations on your awards! And thank you so much for passing them on to me, I really appreciate it. Thank you, Jay! Gosh, they look just amazing and well done on all the awards! That barfi looks amazing...and ever so simple too. Congrats on the treasure of awards!YAY!! Lovely burfis. First time here. Will browse through. And thanks for dropping by at my blog. thanks for sharing the awards with me..i receive these with appreciation! please grab your awards dear! !